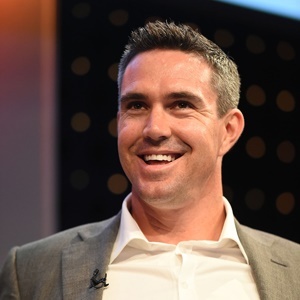 Cape Town - Kevin Pietersen has called on England to make a change to their bowling attack ahead of the second Ashes Test, starting in Adelaide on Saturday. The visitors go into the second Test 1-nil down in the series after a 10-wicket defeat in the first game in Brisbane with their bowling attack in particular coming under scrutiny. England's bowlers seemed to lack potency once James Anderson and Stuart Broad were done with their spells with Pietersen saying seamer Jake Ball has to replaced by uncapped leg-spinner Mason Crane. Ball took one wicket in the match at the Gabba and lacked the necessary firepower to trouble the Australia batsmen. Pietersen also wants Crane to be included in the starting XI because off-spinner Moeen Ali has a slight injury to his spinning finger. The now retired Pietersen told BT Sport: "I wouldn't play Ball in the next Test match, absolutely not. Absolutely no chance. "Is Jake Ball any good? I don't think so. Not at this level. Not in Australia, from what I've just seen. "Mason Crane I'd play. I know it's under lights but it gives that variation of a legspin bowler. One spinning away, one spinning in. "Moeen Ali, we've got an issue with his finger. Do you want Joe Root bowling all the overs? No."